Kindle loves this project because... 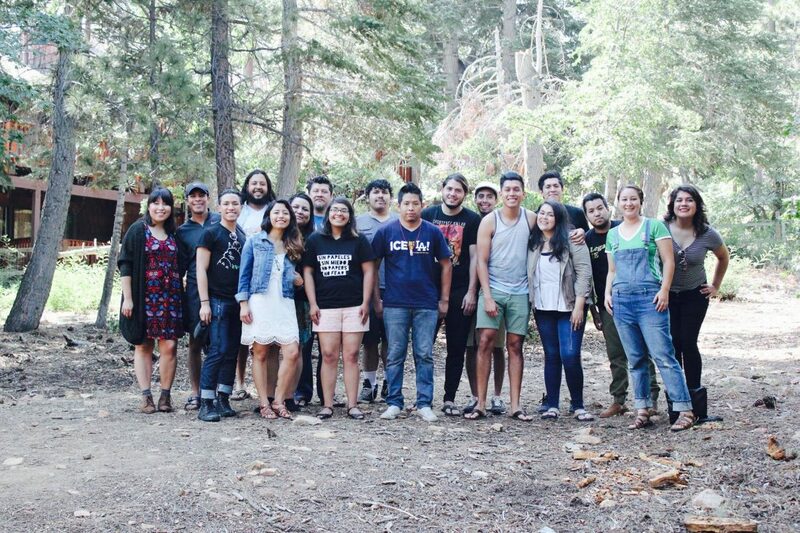 The Inland Empire Immigrant Youth Coalition does the hard work that few are willing to do. Moreover, they are a megaphone for those who voices are often unheard and unshared. This group is so flexible and works with the immediate needs of the communities and individuals they support. That kind of nimbleness is a rare find and we love them because they are making spaces for young, undocumented leaders to thrive. What were the initial sparks that got IEIYC started? The Inland Empire Immigrant Youth Coalition was founded in 2010 by two queer Latino undocumented immigrant youth and one queer documented Latina immigrant ally, all college students living in the Inland Empire. Having directly experienced discrimination and limited access to resources, they saw the need to create a safe space for undocumented youth to share resources, organize other youth to educate and mobilize their peers, and work to challenge those policies limiting their right to go to school, work, and live freely in this country. They also prioritized the creation of leadership opportunities for queer and women identified individuals within our organization. At the time, these two identities were not present in many of the immigrant rights spaces either locally or statewide. A huge turning point for our organization was the failure of federal legislation named the “DREAM Act” in the winter of 2010, which would of allowed undocumented youth a path to legalization. From 2011 forward, our organization re-drew its original purpose and expanded on our initial goals. We saw the need then to focus on not just access to higher education but on federal and local policies that encouraged deportations, detention and separation of our families and communities. All of this helped shape and create the organization as it is today. Did you have a favourite moment at work? One of our favorite moments at work was organizing our first ever Coming Out of the Shadows Event. The Coming Out of the Shadows or COOTS for short, is an event held every March where undocumented youth and communities publicly announce their immigration status as a way of reclaiming their identity and their power as immigrants. When we first decided to put this together in 2012, many of our members were new to organizing and the organization. However, in the process of putting together a community event many of us made closer bonds with each other and got to know the struggles of one another on a much deeper level. What was your experience of receiving a Flow Fund from Julio Salgado? It was a great experience having access to Flow Funds to do our work. We have an existing campaign titled “#ShutDownAdelanto” which seeks to bring to light the injustices occurring at the Adelanto Detention Center, one of the largest for profit detention centers in the United States. One of the tactics for this campaign is to be able to use the arts and storytelling to help convey our message and humanize the issue. The collaboration with our nominating artist has been extremely helpful in providing our organization with ideas, context and concrete next steps on how to link activism and art. What are you going to do with your Flow Fund grant? We plan to use it to create videos, posters and art installations for our vigils and events we hold outside of the facility. If you could nominate one person to become a Flow Funder who would it be and why? What was that lightbulb moment when you knew who you wanted to recommend for your Flow Fund? I think the biggest anecdote was when I saw some of the members doing a civil disobedience outside of Adelanto Detention Center, the biggest detention center in the U.S. This place is in the dessert and away from many of us that many don’t even know it exists. For a lot of these folks, is not just a political issue but personal issue since they live near these places and know people who are directly affected by centers like these. I am currently doing a fundraiser for my webseries Osito. Osito is my response to the lack of undocumented and queer visibility in the media. Rather than complain about it online, I wanted to create something. We’ve been doing this series for about two years now on a $0 budget, but we want to take the series to the next level and make it pop so we want to hire actors and writers to help us do that so we started the fundraiser.